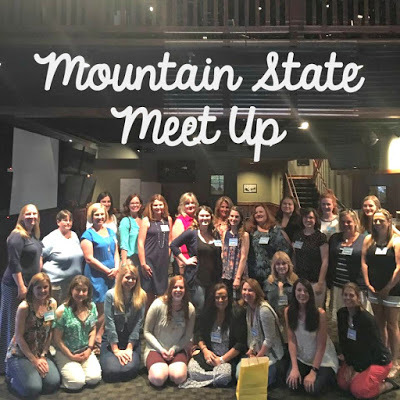 Live, Laugh, Love Second: Mountain State Meet-Up Wrap-Up & Giveaway! 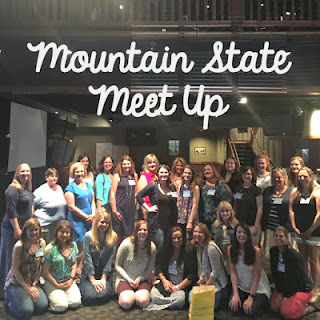 Mountain State Meet-Up Wrap-Up & Giveaway! 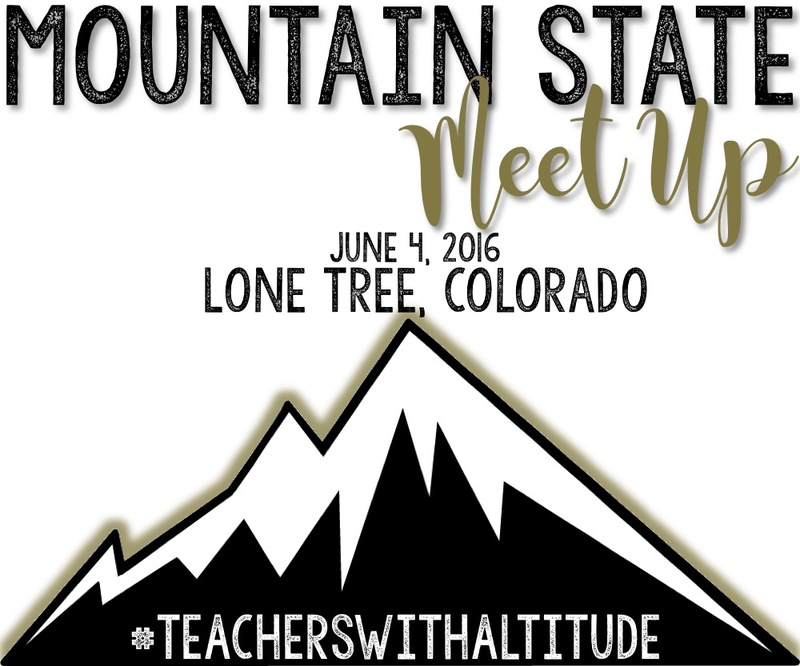 On June 4th, I had the fantastic opportunity to meet up with other Mountain State TpTers and Bloggers. We had an awesome time! I had never been to a meet up like this before, but I recruited my BTF (best teaching friend), and we had a blast! 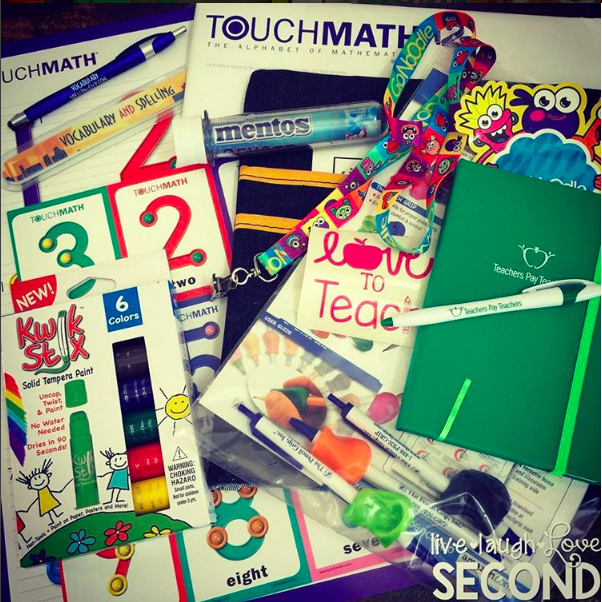 Where there are teachers, there will definitely be lots of fun. We had some great round table discussions about Pinterest, Instagram, TpT, and blogging. I learned so much! Pinterest was definitely a hot topic. If you're not already on Pinterest, you should get there stat! Head over to our Facebook page to see our poster notes from the discussions. 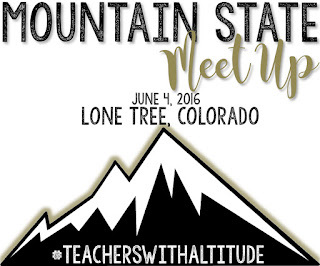 I was lucky enough to help organize this event with 3 other awesome TpTers-Ashley from Teaching in Bronco Country, Kristin from Holmquist Homeroom, and Nichole from Craft of Teaching. It was so much fun getting to know each one of these fabulous ladies better. I can't wait to start planning for next year together! Here's just a quick snapshot of our adorable name tags, awesome door prizes, super swag bags, and fun meet ups! Of course, I had to get a picture with my fellow Colorado Springs TpTers and bloggers! We definitely want to thank all the people and businesses who donated to our meet up. Thank you to all our donors: GoNoodle, Steve Spangler Science, Seat Sack, Aussie Pouch, Classroom Friendly Supplies, planbook.com, ESGI, Teachers Pay Teachers, Educents, Tallahassee Sunday, C. Jayne Teach, Love & Logic, Heidi Songs, Hue, Fiskars, Sit Spots, Back to the Roots, Syllabuy, KORE, The Wright Stuff Chics, Tieks, Touch Math, L Paull Designs, Science 4 Us, Erin Condren, Scent Co, and Pencil Grips Inc. I was lucky enough to snag an Erin Condren Planner set and a free year on ESGI! Woohoo! But...we want to continue sharing the amazingness with you! We have 5 swag bags and 5 subscriptions to Planbook.com to giveaway to 5 lucky winners! All you have to do is enter through the Rafflecopter below. Good luck! Thanks again to all our fabulous donors and to all our attendees! See you next year!